Have you wondered how to become an interior decorator? Those who reap praise for the decor of their home may want to consider a career in interior decorating. Interior decorating requires an eye for fashion, an intuitive sense of style, and the ability to adapt and create or re-create given specific parameters. Aspiring interior decorators need to train their eye to immediately pick up on the details in any room. It is very important that they have a keen ability to observe and decipher as well as understand how to change and improve the beauty of the room. Beyond an intuitive ability to notice details, they must also have an understanding of style, elegance, looks, materials, local sensibilities, tastes, climate, and patterns. Being able to communicate well to understand the needs and wishes of the client is also required. Becoming an interior decorator requires no formal certification or degrees. It is a career that can be developed based solely on experience. However, certification or a degree can be important for those who want to be processional. Education can help to polish existing talent, open one’s mind to new ideas and styles, and can be crucial those who wish to be hired by a designing firm. It is important to note that being an interior decorator is quite different from an interior designer. Interior design requires a minimum of 2 to 5 years of post-secondary education. For interior decorating, there is no requirement, but many find more success with a bachelor’s degree in business or a related area. 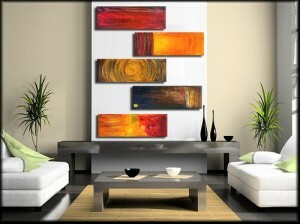 Interior decorators typically advance in their career through practice. It is necessary to create a portfolio and build contacts in order to find clients. Networking and establishing a strong reputation are vital to interior decorators growing their business. Seeking out home builders, wealthy home owners, and other types of professionals is crucial to establishing a client base. Many contact real estate agents, renovators, art galleries, etc. to find leads. Another option could be to work as an assistant to a current interior decorator or designer. This can help to build the resume and provide opportunities once one wants to branch out on their own. Interior decorators typically earn between $37k and $54K per year. Decorators can choose to charge hourly or a flat fee. Some interior decorators charge based on what is known as a cost-plus system after developing relationships with suppliers. For example, if an interior decorator partners with a carpet supplier, oftentimes the supplier will give them a discount, perhaps 40% off the cost. The decorator then selects and sells the carpet to their client for their cost plus 20%, still saving the client 20% off what they would pay for the carpet retail. Each type of billing requires dedication and a significant time investment to be successful. As a decorator becomes more accomplished, their average income increases. Decorating residential homes or commercial property can also influence income with commercial projects typically paying more. Interior decorating can be a very rewarding career as it not only pays well but most decorators feel that their work is making a different in the lives of their clients. With this info about how to become an interior decorator, you’re on your way to a satisfying career.